Super Hero RPG's is what brought me into the industry. 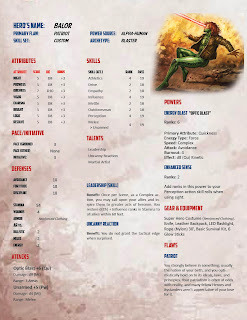 My first group played Champions 4th Edition, the Big Blue Book and had a good time with it. But even back then, it wasn't quite what I was looking for and within two weeks of our first session, I bought Heroes Unlimited Revised. 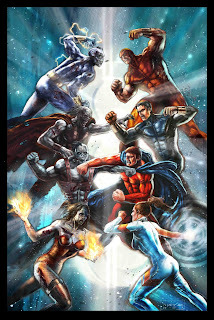 Today, I own a ton of Super Hero RPG's and in the wake of Green Ronin releasing the DC Heroes Universe supplement (sadly, not a big fan of Mutants and Masterminds) and the ending of the Marvel Heroic Role Playing (again, not a big fan), I thought I'd shine the spotlight on a forthcoming game from Paradigm Concepts (makers of Arcanis and Witch Hunter), Rotted Capes. Last year, Paradigm Kickstarted Rotted Capes, but I didn't back it due to low funds. 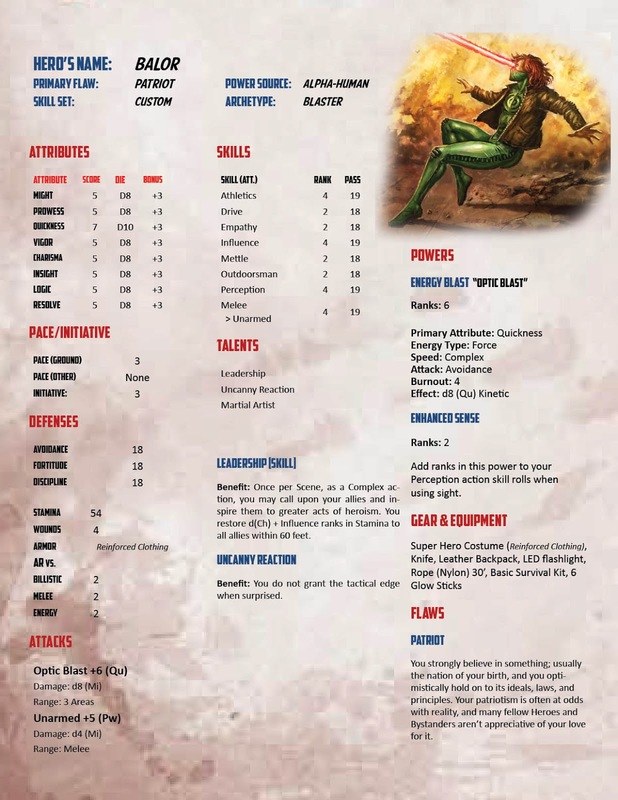 But a friend of mine did and we've been looking over his PDF, making some characters and planning a game and I'm pretty impressed. It's a Supers vs. Zombies game, which usually wouldn't be my bag (not a big fan of Marvel Zombies), but it's an interesting idea for an RPG and it works great as a straight Super Hero RPG, so I think it worked out good for everyone. One of my quirks with Super Hero games is how often your rolling handfuls of dice (and in Champions' case, counted the dice for Stun, Body and Knockback, ugh). Rotted Capes keeps your dice pool small and easy to work with. If you've looked at Arcanis, you've experienced the game system, which is roll 2d10, add your Attribute Die and add any Skill (a flat number) to be a Difficulty. Professions, bundles of skills you can quickly buy to get things moving. The powers are well covered and everything makes sense to me. In combat, initiative is replaced with a Clock system of ticks where your action will prevent you from acting for X number of ticks. It looks like it could take a bit of work to get used to, but I think it could make the game more cinematic. I really can't recommend this game enough. I hope to get something started with it before the end of summer and may well use it to continue my Dead AGE game.